Holiday shoppers will find big savings in electronics this year, according to predictions by holiday shopping site BestBlackFriday.com. The company, which has covered the season's biggest shopping day for the last eight years, keeps an extensive database of what retailers have done in the past, according to principals Eric Jones and Phil Dengler. Consumers are already doing more of their holiday shopping online. 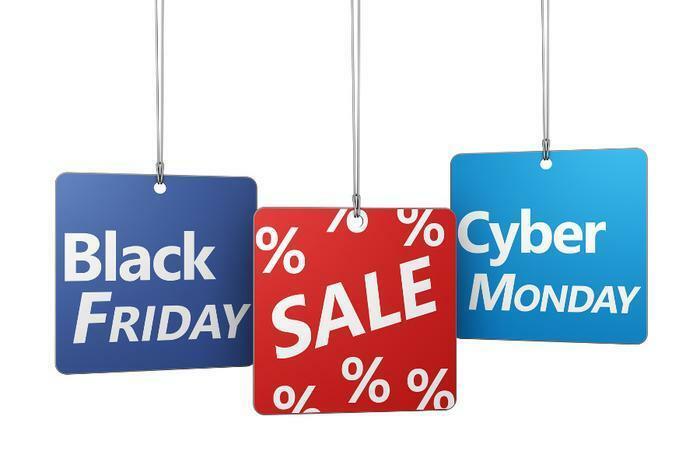 Even so, Cyber Monday, the Monday after Thanksgiving, is expected to be the busiest online shopping day of the season as retailers roll out a number of specials to take advantage of that. But be warned: scammers and hackers are gearing up for Cyber Monday as well and one expert says Cyber Monday may be the most dangerous day of the year when it comes to having your identity stolen. More retailers are jumping on the bandwagon of restoring Thanksgiving Day as a time for food, family, and football – not trips to the mall. Last year, a few large retailers, such as Costco and BJ's Wholesale Club, were closed on the day before Black Friday. As we reported early last month, Staples announced that it would be closed on Thanksgiving Day, as there appeared to be something of a consumer backlash building against Black Friday intruding into Thanksgiving. Since then, a lot more retailers have also announced they would be closed on Thanksgiving. BestBlackFriday.com has published what it says is a confirmed list of retailers that have decided it's more profitable to spend Thanksgiving with family and friends. By BestBlackFriday.com's count, at least 45 chains have so far decided to return to the tradition of being closed on Thanksgiving Day. After all, most have busy e-commerce sites, which can continue to take orders between the apple pie and kick-off. Last November, retail marketing expert Arun Jain, a professor at the University at Buffalo (UB), warned that opening on Thanksgiving Day was risky. “It’s a pity that in the richest country in the world, we cannot reserve even a single day for family, and there is a good chance it could backfire with consumer boycotts,” he said. A better strategy, says Jain, would be opening early Black Friday morning – the way retailers did in the not-too-distant past – and offer spectacular doorbuster bargains. According to BestBlackFriday.com, it appears a lot of retailers have taken that advice. Walmart's Black Friday ad has leaked, and surprising no one, it shows the nation's largest retailer will join other heavyweights Target, Toys R Us, and Best Buy by opening on Thanksgiving Day. 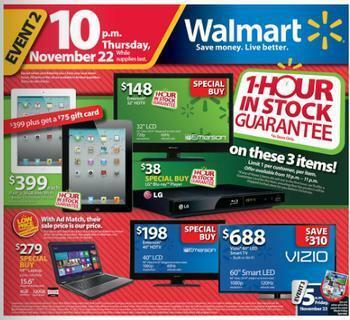 The 32-page ad, displayed at BestBlackFriday.com, shows Walmart will be open Thanksgiving Day and begin its Black Friday event at 6 p.m. Walmart.com will offer special deals throughout the day. Black Friday is now less than one month away and the latest shopping forecast suggests the stores will be full, despite research showing it's actually one of the worst days of the holiday season for shopping. 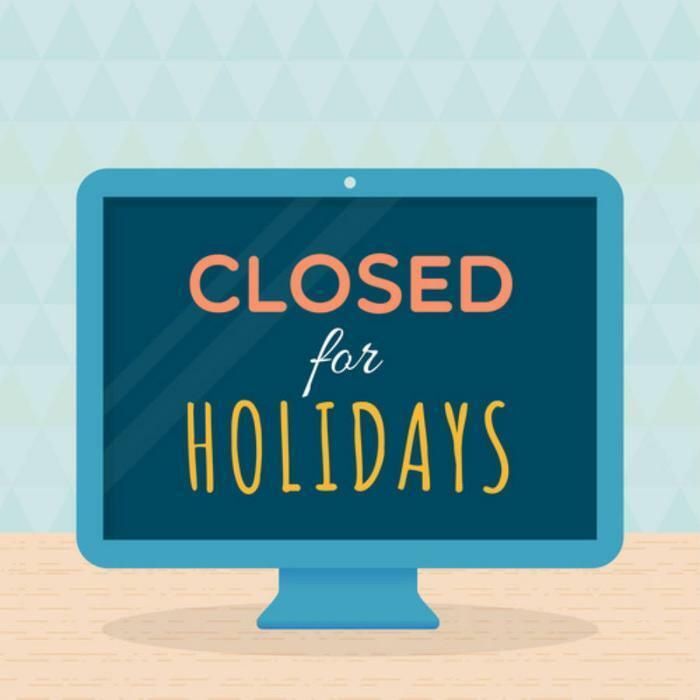 Accenture's annual consumer holiday shopping study finds that 53 percent of consumers surveyed said they expected to shop the day after Thanksgiving. But it's not that they like rising before dawn, waiting in the cold for the store to open, and then jostling with other consumers for bargains. In fact, 52 percent said they would be content to spend Black Friday shopping online if they could find the kinds of deals they expect to find in brick and mortar stores. Of course, if they just wait three days for "Cyber Monday" they would find that online retailers do, in fact, offer large discounts on that shopping day. According to Accenture's previous surveys, interest in Black Friday shopping has been on the decline over the last three years. 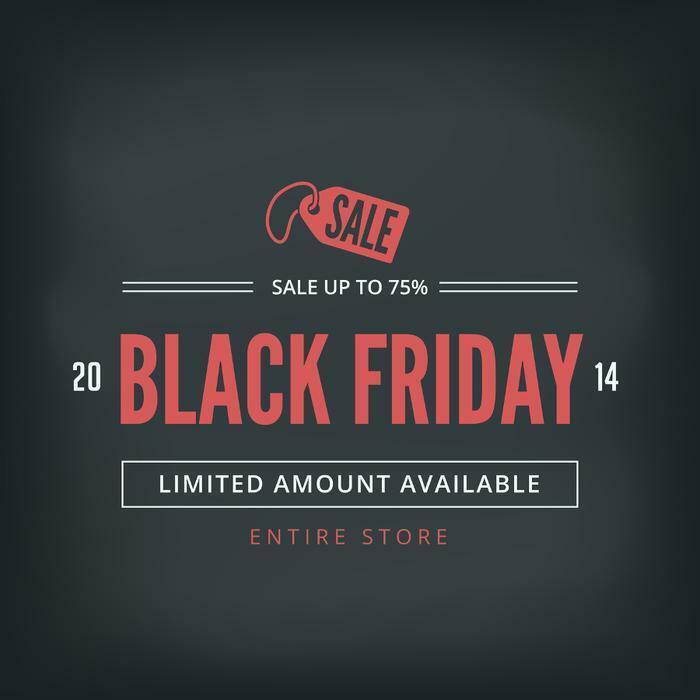 In 2011, the survey showed that only 44 percent of respondents were interested in shopping on Black Friday, down from 47 percent in 2010 and 52 percent in 2009. Over the years consumers have complained that big box retailers seem to change the rules at the last minute, opening the doors earlier than advertised. They also complain that many of the "door-buster" specials that drew them to the store in the first place were in such short supply the chances of purchasing the prized merchandise were slim. Earlier this month the Wall Street Journal crunched the numbers and found what many long suspected. While a limited number of big screen TVs might be generously marked down, the kinds of things you routinely buy as gifts aren't. If you want a wristwatch or Barbie doll for example,you'll save more money by watching sale circulars throughout the year and sleeping in on Black Friday. And if you really want a flat-screen TV, Black Friday might not be the time to buy. The Journal found that these items get more expensive the closer you get to the holidays. The lowest prices on the widest selections of sets, it turns out, is in October. But the Accenture study also suggests consumers will be careful, savvy shoppers this holiday season. Fifty-one percent says they have already made their shopping plans and will use cash they have set aside throughout the year, rather than run up credit card balances. “The U.S. consumer refuses to be counted out and is entering this holiday season better prepared and more willing to open his or her wallet,” said Chris Donnelly, managing director of Accenture’s Retail practice. “Self-sacrificing will be down and spending will be slightly up, however, our research also shows that shoppers will remain disciplined in their spending. "Showrooming" will also be a factor. That's when consumers shop for merchandise in a brick and mortar store, then use their smartphones to check prices elsewhere and online. The study shows 56 percent of shoppers expect to "showroom" this year and 27 percent of these same shoppers say they would likely make the purchase online, using their smartphone or tablet, while they are still out shopping. If someone on your gift list wants a consumer electronics product, you should be shopping now, not waiting until Black Friday or Cyber Monday. Waiting may mean missing some of the best deals. Bendele's advice is based on his company's research, tracking sales and discounts all year long. He and other researchers have found that the shopping game has changed significantly in recent years as retailers have developed highly competitive online strategies. An example is Walmart's announcement that it isn't waiting for Black Friday to start offering Black Friday deals. The nation's largest retailer says it will offer discounts typically reserved for Black Friday and Cyber Monday right now for consumers shopping online. "We know that our customers start shopping for the holidays on Nov. 1 because historically our traffic spikes the day after Halloween," said Joel Anderson, president and CEO of Walmart.com. "Customers want to relax with friends and family during the holidays, and with our early deals we are helping them make the most of their time and helping them stretch their dollars further." But Bendele sees it as a continued evolution in which the in-store sales of Black Friday – and now Thanksgiving night – are becoming less important. Data backs that up. Last year in-store Black Friday sales dipped two percent. However, Black Friday online sales went up 26%. Research has also borne out the fact that, doorbuster deals aside, the in-store savings aren't that great on Black Friday. While consumers have always lined up on Black Friday in hopes of getting the season's hot gift on sale, retailers began to fan the enthusiasm after the economic crash of 2008, when they had to compete for fewer holiday dollars. That year a Walmart employee was trampled to death at a Long Island store. Since then the deals have gotten bigger – even if the number of spectacularly marked-down items were limited in number. But in the last year or two, consumers have been wising up. Bendele says the best deals on toys tend to be during the first two weeks of December. The best prices on apparel tend to be in mid-December. There may be a good reason, however, to do some Black Friday shopping – if you aren't looking for a specific item. By the same token, if you are looking for a specific make and model of a TV, or any other gift, you might do better waiting closer to the holidays, when merchants tend to mark everything down. And since there are fewer shopping days this holiday season, retailers may be more aggressive in their markdowns. Some people go shopping on Black Friday, not so much for the deals, but for the communal experience -- to rub shoulders with fellow consumers embracing the search for gifts at bargain prices. Bendele says they needn't worry about Black Friday fading away. 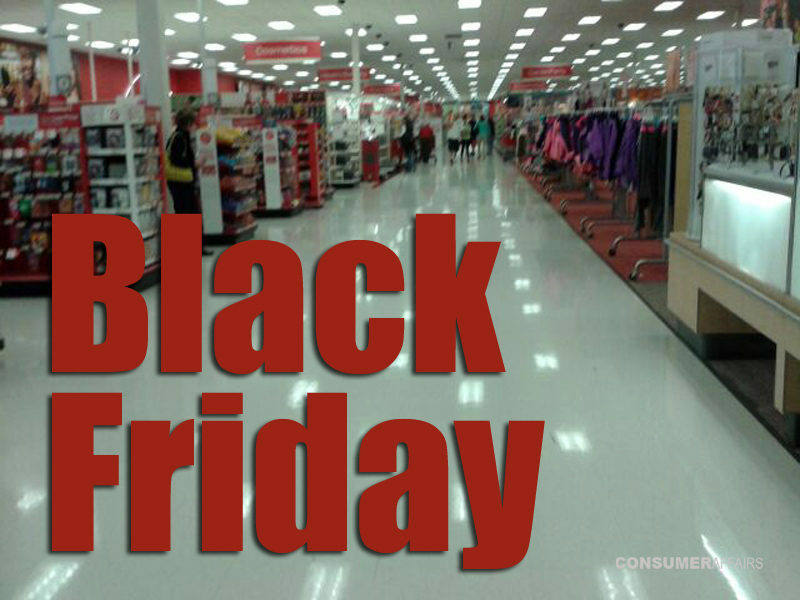 According to Valpak’s 2013 holiday research, Black Friday will be a force for at least another another year. In a survey more than three-in-five of consumers say they will shop on Black Friday this year. More than one-quarter of consumers in the survey say they would be willing to skip the Thanksgiving pumpkin pie and head to the store for an early deal on Black Friday. Even though the nation's retailers have rolled out sales promotions all month long, most still expect a robust turnout for Black Friday, which increasingly starts on Thanksgiving day. But they might have to work harder for shoppers. A survey conducted for the National Retail Federation (NRF) finds 61% of consumers may or will shop either Thursday, Friday, Saturday or Sunday. That equates to about 140 million consumers – roughly the same as last year. Why no growth in the numbers? It may be because there have already been plenty of deals. It could also mean more bargain-conscious consumers are taking a wait-and-see approach. “Consumers today want more than just the discounts they’ve been showered with since the start of the recession; they want exclusive offerings and a good reason to spend their discretionary budgets,” said NRF President and CEO Matthew Shay. In fact, Shay believes there could be a major shift this year as shoppers become more picky. The Internet gives consumers multiple tools to compare prices and the difference of just a couple of dollars – or the inclusion of free shopping – could influence a buying decision. While there has been criticism of retailers launching their Black Friday promotions on Thanksgiving, there appear to be significant demographic differences in those attitudes. The survey suggests much of the criticism is confined to older generations. Millennials, on the other hand, are much more willing to including shopping as part of their Thanksgiving Day activities. Nearly one-quarter of 18 to 24 year olds said they plan to shop on the holiday. Last year for old credit cards? Shay, meanwhile, says this could be the last holiday shopping season in which consumers use the current magnetic strip credit and debit cards that are more prone to fraud. He says these cards haven't been updated since the 1960s, despite 21st-century cyber threats and criminals who use the Internet to steal money from half a world away. Retailers are expressing disappointment. Shay says the PIN is a critical element of fraud reduction and that where it has been implemented, it has worked. He says the chip ensures that the card is real, but the PIN is needed to prove that the person trying to use it is the legitimate cardholder. “In today’s world of high-tech criminal hacking, an easily forged, illegible scrawl at the bottom of a receipt is no longer good enough,” Shay says. Many consumers who rise before dawn on Black Friday and stand in the cold waiting for a store to open often complain that it wasn't worth it – they didn't get the item they wanted or it cost more than they thought. Their experience is not all that uncommon, it turns out. According to a new study by ShopAdvisor, a shopping service, Black Friday was among the worst sales days of the 2011 shopping season. The study tracked the prices of 252 toys from the first day of autumn and found that in the 54 days from Nov. 1 through Dec. 24, the day with the lowest percentage -- 46 percent -- of products on sale below their initial holiday season price was Black Friday, Nov. 25. 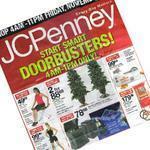 The day with the highest percentage -- 59 percent -- of products on sale was Sunday, Nov. 13. After Thanksgiving, Thursday, Dec. 1 was the day with the next largest percentage of products on sale. As a matter of fact, Black Friday turned out to be the day on which shoppers begin to see prices spike on select items. On Black Friday itself, 24 percent of the toys on ShopAdvisor's list were priced above their initial holiday season price. After Black Friday, the day with the most toys selling at a premium price was Dec. 23, two days before Christmas. "Our experience tracking more than a hundred million products shows that although Black Friday may be a good day for shopping, there are 'blacker' days to be found during the holiday shopping season," said Scott Cooper, CEO of ShopAdvisor. ShopAdvisor drew up its list of toys by monitoring the choices of its more than 6.5 million users who add products to their ShopAdvisor Watchlist and receive email and mobile notifications when prices drop or out-of-stock products become available. The company says prices will fluctuate during the season, probably more than most consumers realize. The most vigilant shoppers will watch for sudden price drops and avoid price spikes that often last only a day or two before plunging back down to their original price or lower. For example, National Products' 6 Volt Pink Hummer H2 started the holiday season selling for $186. For two days it dropped as low as $132. On Thanksgiving Day it spiked to $227, fell to $190 on Black Friday, and then spiked back to $227 eight more times before Christmas day. In between those spikes, a savvy shopper could find it for $160 on six different days. Hasbro's popular Sesame Street Let's Rock Elmo was a bargain for almost the entire season, selling below its initial holiday season price of $59 on 60 of the next 65 days. The only question for shoppers was how long to hold out. Those who waited until Sunday, Dec, 18 got a 49 percent discount, paying only $29. If you hit the snooze bar on Black Friday, then when should you shop for the best deals? It will probably vary store to store, but ShopAdvisor says steep discounts of 30 percent or more began to show up the Sunday before Thanksgiving. For example, the $117 LEGO Ninjago Fire Temple dropped 38 percent to $72 for three days from Nov. 18-20. The more risk you're willing to take on, the longer you should wait to shop. If shoppers are willing to wait, or procrastinate, they can count on steep discounts in the two weeks before Christmas. Last year, every day, starting Dec. 11, at least one in ten toys were available for 30 percent or more under their original prices. And here's another piece of holiday shopping advice: avoid day-after-Christmas shopping; wait until Dec. 29. If the toy you are giving does not have to be under the tree on Christmas day, it pays to wait until Dec. 29 when 17 percent of all the toys in the ShopAdvisor Watchlist were available for 30 percent less than their pre-Black Friday prices. In the distant past – 2007, for instance – Black Friday and Cyber Monday were their own standalone holiday shopping events. People lined up in front of department stores in the early morning hours the day after Thanksgiving for door-buster specials. Then the following Monday they would go to work and, while the boss wasn't looking, go online to shop for bargains on electronic gadgets. Ah, the quaint days of yesteryear. Now, November has become one long triathlon for competitive retailers and bargain-hungry consumers. The lines between Black Friday and Cyber Monday have blurred into one long weekend of sales promotions. Eric Jones of Jones-Dengler Marketing, operator of the BestBlackFriday.com website, says most retailers shifted gears from Black Friday to Cyber Monday over the weekend without skipping a beat. In fact, he says his company's Black Friday website had more traffic on Thanksgiving than Black Friday itself while his Cyber Monday website surpassed the Black Friday website in traffic over the weekend. Meanwhile, major online retailers like Best Buy and Amazon.com started their Cyber Monday sales promotions on Saturday. Amazon, which pioneered Cyber Monday marketing, is stretching the event into 8 days, running into next weekend. While the earliest Cyber Monday shopping events focused mostly on electronics, Amazon and other retailers are pushing discounts on toys, housewares, apparel and other gift categories. In announcing its early bargains, Amazon said it will be selling a Sony 40-inch 1080p LED TV for $298; an LG 49-inch Smart 4K Ultra HD LED TV for $999 with 15% back in rewards; and an Acer Chromebook at $149. Over the weekend the Amazon Appstore offered sale prices on popular apps and games. Why have retailers stepped up the selling pressure? In short, because they have found that it pays off. Giving consumers more opportunities to shop for bargains usually means they will shop and buy more. And that may be especially true this year. Since 2009 retailers have had to compete for a shrinking consumer dollar, as the financial crisis and Great Recession meant consumers were much more bargain-conscious. Consumers continue to look for deals – and have many more technology tools to help them find them – but this year they have a little more money in their pockets, thanks to falling gasoline prices. But the fear that their competitor will get to the customer first has sparked the earlier, and more intense holiday sales promotions, all of which threaten to take the wind out of the sails of these traditional holiday shopping days. Preliminary figures suggest foot traffic was down at brick and mortar locations on Black Friday. That may be because more purchases were made online -- and not by people sitting at their computers at home. Branding Brand, a mobile commerce platform provider, reports just over one-third of online purchases on Black Friday were made from mobile devices, up 48% over last year. As more purchases move to online sales and start earlier and last longer, Cyber Monday may turn out to be just another shopping day. 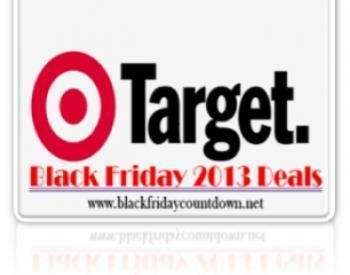 On Friday, Nov. 23, millions of consumers will flock to stores to take part in the Black Friday shopping experience. They are drawn by the promise of bargains and the thrill of mixing it up with throngs of fellow shoppers. Unfortunately, the bargains are not always plentiful. While stores promote deep savings on a handful of highly desirable items, the prices of everything else are not much different from a normal shopping day. Edgar Dworsky, founder of ConsumerWorld.org, suggests going home with a Black Friday deal will require some advance planning. Read the ads: Preview the Black Friday sale circulars before hitting the stores. Not only will they appear in local papers next week, many ad slicks are now online at numerous Black Friday shopping sites. Make sure there is a bargain worth getting up in the middle of the night for. 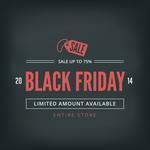 Evaluate the deals: Not all Black Friday advertised items are great deals. Others will become available the weekend before Thanksgiving, on Cyber Monday, or in mid-December. Compare the ads to what the item is selling for online. For example, Amazon.com has been offering Black Friday deals throughout November. Research the Right Product: A low price on a lousy product is no bargain. Check Websites like ConsumerAffairs for consumer reviews. Some publications feature reviews by professionals. Use coupons: To save the most, combine the primary ways to save: buy items at a good sale price, use percent-off/dollars-off coupons offered by some stores to lower that price even more, and look for items that also have a cash back rebate. Keep in mind some Black Friday sale items may not accept coupons. If that's the case the ads should say so. Be an Early Bird: That may mean heading out on Thanksgiving night if you are shopping at Walmart, Sears, Kmart, Kohls, Macy's and Toys“R”Us. Just keep in mind the employees waiting on you will not be the happiest people in the world, having been dragged away from family celebrations by their bosses. Beat the Early Birds: In some cases you may be able to start shopping before everyone else. Sears is letting its reward club members buy some doorbusters starting on Sunday, November 18. To plan for the real Black Friday, scope-out key retailers on Wednesday before Thanksgiving to learn each store’s floor plan in advance. Avoid the crowds by ordering online since some Black Friday deals may be available on Thanksgiving Day or early Friday. Be warned, however, that stores are not generally good about indicating which items will also be available online. Check the Return Policy: Before buying, find out the store's return policy. While many stores have extended their return deadlines into January, others are clamping down by imposing restocking fees on certain categories of items, or by using a blacklisting database or returns tracking system to deny refunds to returns abusers. Get a Gift Receipt: Make returns easier for gift recipients by asking the store for a gift receipt and include it in the gift box. Without a receipt, a refund may be denied outright, or may be limited to only an equal exchange, or to a merchandise credit for the lowest price the item has sold for in the recent past. Use the Right Credit Card: Certain credit cards offer valuable free benefits. For example, don't be pressured into buying a service contract when you can get up to an extra year of warranty coverage free just by using most gold or platinum credit cards. Ask your credit card issuer what length warranties qualify for an extra year of coverage, if any. Some credit cards also offer a return protection guarantee. Save More with Price-Match Guarantees: Keep checking the prices of the items you buy. Since many stores offer a price protection guarantee, you may be entitled to get back some additional money if the seller or a competitor offers a lower price before Christmas. Company executives say the stores had good traffic as well, benefiting from on-going promotions. We report year after year that Black Friday is not necessarily the best day for holiday shopping deals. It seems more consumers are getting the message. RetailNext, a brick-and-mortar retail analytics firm, has issued its forecast for the busiest holiday shopping days and Black Friday has fallen to third place, behind December 23 and December 17. Automotive experts say consumers may find some of the best new car deals of the year during Black Friday sales. With auto sales in a slump, dealers are offering more incentives to move vehicles off the lot. And if you think seasonal car commercials showing new cars being given as gifts are unrealistic, late year sales statistics suggest they ring true. Last December's new car sales were the highest of 2016. Walmart has taken the wraps off its plans for Black Friday deals, publishing its ad in hopes that shoppers will add those items to their shopping lists. 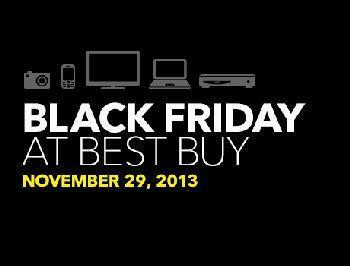 The retailer has also introduced 18 Black Friday deals that are available starting today online. Those deals include an RCA 65-inch Class 4K Ultra HD LED TV for $399, marked down from $899. They also include a Lenovo IdeaPad 330s 15.6" Laptop with Windows 10 and an Intel processor, for $349. The regular price is $499.